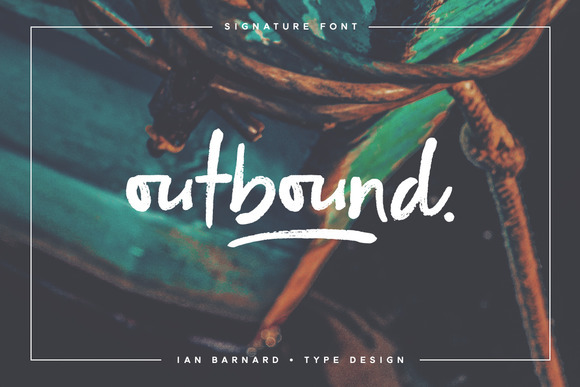 Outbound is a handwritten typeface created by Ian Barnard. You can use this sans serif font for unlimited number of projects and with his vintage look, is ideal for logos, book, covers, packaging, typographic projects etc. A font description published on Wednesday, September 7th, 2016 in Fonts, Ian Barnard by Alexandra that has 4,299 views.